Have you checked out The Frame Savers? Do you ever feel bored at work, in the car, on the bus or just at home? Do you wish you would have the ability to listen to strangers gently whisper in your ear about what is going on in the world of speedrunning during those times? Then why not have a listen to The Frame Savers podcast! TFS has two halves to make a whole experience consisting of long time streamers and speedrunners authorblues and johncarls. You can decide for yourself who is the better half. Not only do these two provide you with an in-depth speedrunning analysis and explanation about whichever game gets put in the spotlight, but there is also a more casual side of things with actual game reviews, random rants and silly segments. Combine this with the occasional guest speaker and you have a great way to spend an hour and a half of your day (or you can put the podcast on in the background while you are actually doing something useful with your life). Be sure to check out this amazing podcast and subscribe to them to keep up with the new episodes. 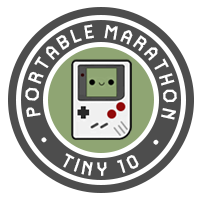 And don't worry: If there is any Game Boy related podcast in the future, we'll be sure to let you know!